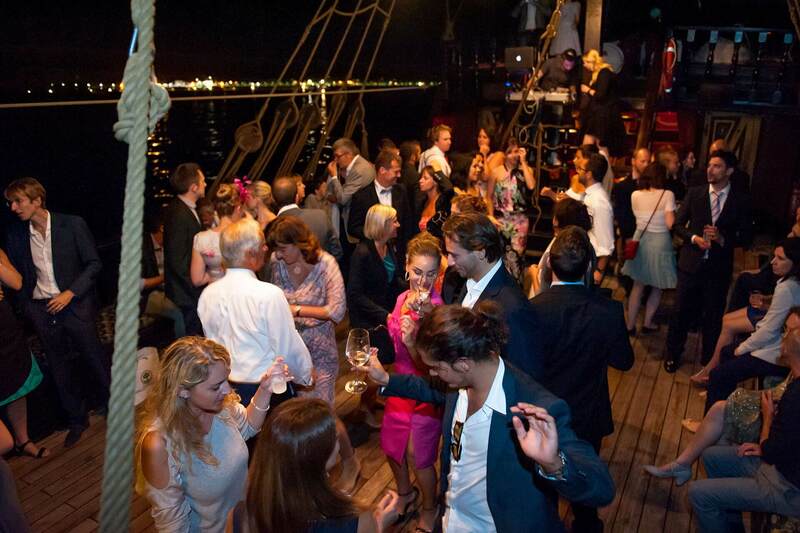 Let your creativity and imagination run loose; everything is possible on board the Venetian Galleon! 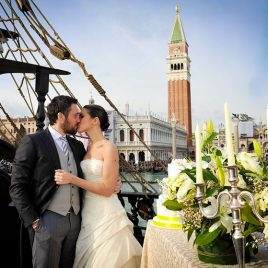 By customizing the spaces on board the galleon, we will recreate the setting that best suits your imagination: from an elegant and refined gala dinner to a colorful theme party, a playful graduation party, or a refined wedding anniversary; creating the event you have in mind is simple with the help of our staff. 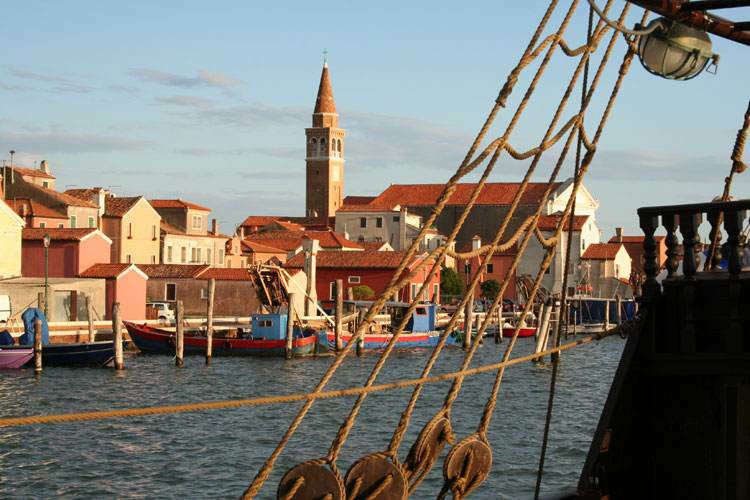 The unique atmosphere of the galleons and its theme location will allow you to live an exciting experience, immersed in the seductive setting of the Venetian lagoon. 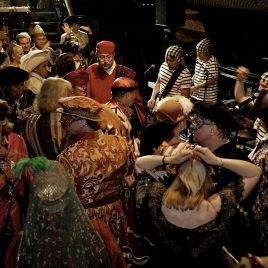 For special occasions such as the Carnival, Saint Valentine's Day, Halloween, New Year's Eve and the Feast of the Redeemer, the Venetian Galleon organizes open events for individuals and small groups - annual events not to be missed. 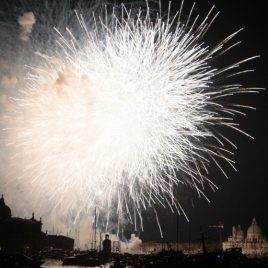 Saturday 20th of July 2019: celebrate the Redentore with us! 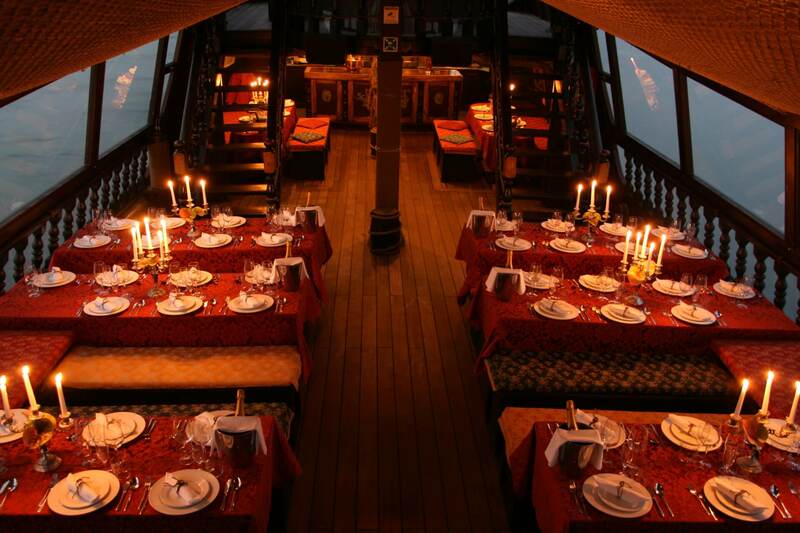 The supreme culinary arts of the Sirocco food workshop allow the Venetian Galleon to assure an excellent level of quality for food services. The freedom to work entirely self-sufficiently allows us to prepare and control products right from the purchasing of raw materials. 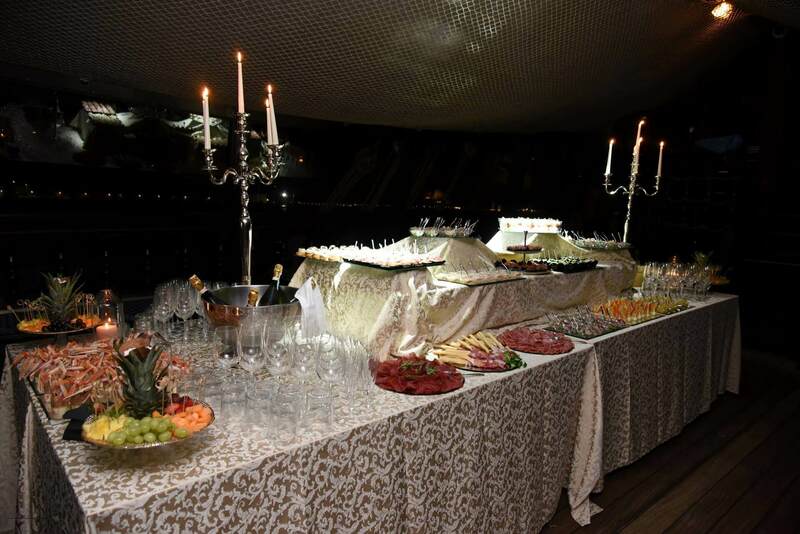 In accordance with the HACCP plan, we control the production, conservation and transportation of food preparations on board the galleons, right up to the final serving phase, which is performed with the maximum attention to every detail that has always been a prerogative of our business philosophy. This small island, which currently has around fifteen residents, was once one of the most ancient and prosperous settlements in the lagoon. A very popular tourist location thanks to its incomparable archaeological heritage, Torcello boasts various buildings and sites with a high cultural appeal: the Cathedral, the “Throne of Attila”, the Church of Santa Fosca, the Museum of Torcello, and the curious Devil's Bridge. An ancient island, whose history is apparent in its Roman ruins from the 1st, 4th and 5th centuries A.D.; its name is of popular origin, dating back to the first half of the 5th century, when the island was abandoned for over two decades due to the unhealthiness of the lagoon. 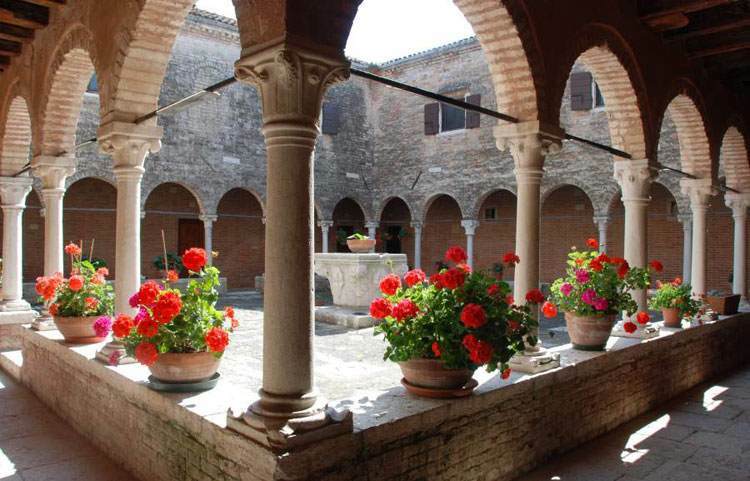 Its Franciscan history dates back to the year 1220: Back from his travels in the east, Saint Francis of Assisi stopped here because of a storm, and as legend would have it he was welcomed by the festive chant of sparrows. A 14th century cloister and majestic cypresses lend an air of peacefulness to the island. Gardens and vineyards, romantic sunsets and the lovely “Bacan” beach with the 19th century Maximilian Tower erected in the southwestern part of the island. 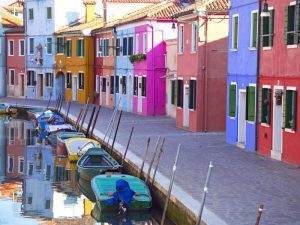 Also renowned for the famous violet artichoke, the so-called “castraure”. Initially called “Vigna Murada”, it was most likely a strategic stronghold controlling the inland waterways, later becoming a lazzaretto [hospital] in 1468 (dubbed "new" to distinguish it from the “old” one near the Lido); a place of quarantine for ships arriving from various Mediterranean ports suspected of carrying the plague. Original writings and drawings left by sailors forced into isolation are still visible today on the walls of the Tezon Grande. 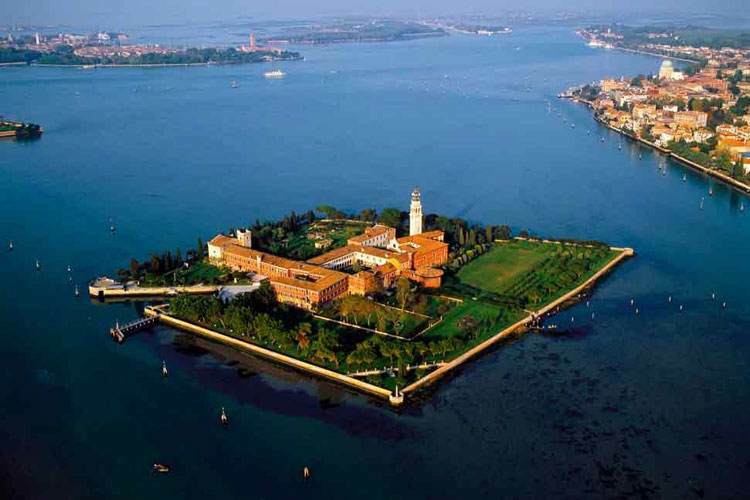 This island was inhabited by Carthusian monks, who commissioned beautiful works of art by Vivarini, Titian and Tintoretto. Once a military post, the island is now a tourist destination, thanks to its remarkable natural heritage, particularly its lush vegetation. Until 1978 the home of a psychiatric hospital, of which traces remain in the Museum of Folly, the so-called island of madmen is currently an important multicultural center that hosts the European Center of Venice for crafts and for the conservation of architectural heritage, offering courses that allow learners to relive the experiences the schools of Arts and Crafts provided around five centuries ago in the historic center of Venice. 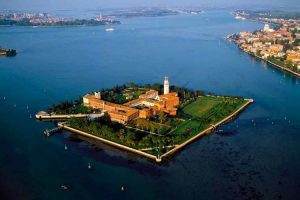 The island also houses the most ancient Benedictine monastery in the lagoon, with an adjoining prestigious apothecary. 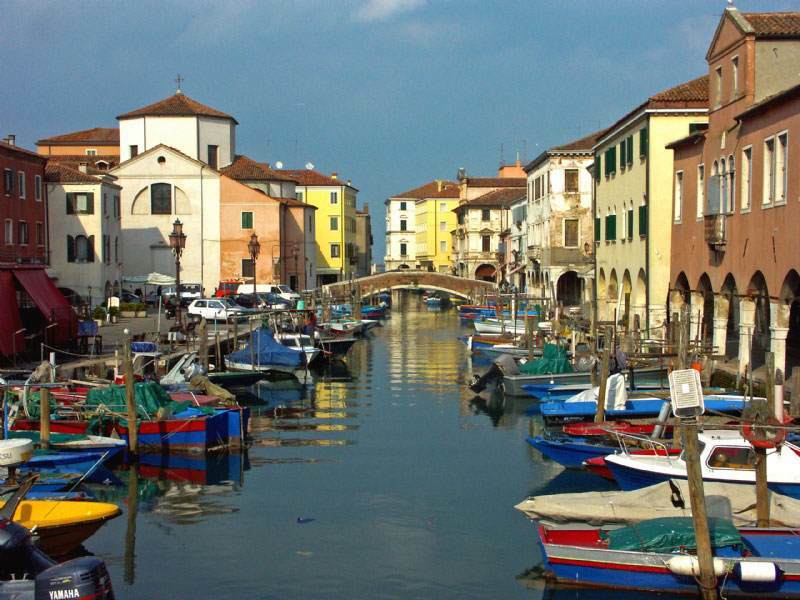 San Lazzaro degli Armeni is one of the smaller islands of the Venice Lagoon. 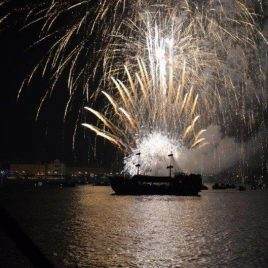 An oasis of peace, it is an example of coexistence between two historical and cultural realities: East and West. 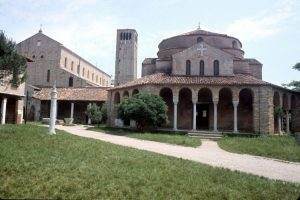 In the past a leper colony dedicated to St. Lazarus, the island was entrusted by the Venetian Republic to a small group of Armenians fleeing from the Turks. 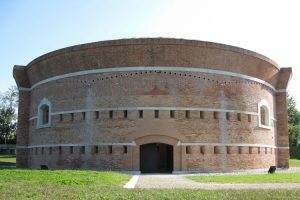 Visit the Mechitarista Museum, with its prestigious collections, among which are the mummy of Nehmeket from 1000 B.C., and a large library. 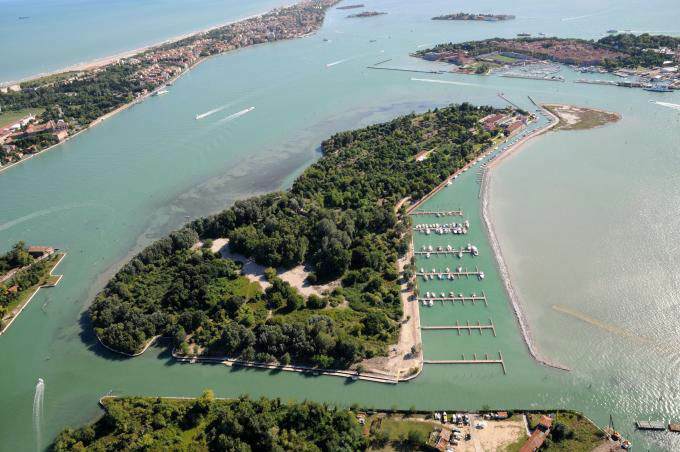 A natural continuation of the Venice Lido westward, divided by the Port of Malamocco, Pellestrina is a thin strip of sand that extends for over 10 kilometers. 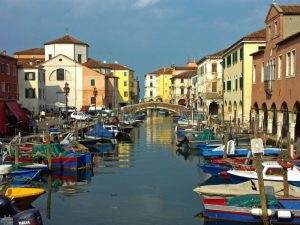 The island's main center is San Pietro in Volta; it is separated from Chioggia by the port of the same name. 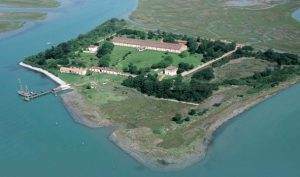 The island is home to the renovated Murazzi beach resort, as well as the noteworthy Ca' Roman natural reserve. A destination for intellectuals and writers, the island offers peace and tranquility; an optimal setting for the inspiration and the creation of artistic masterpieces. 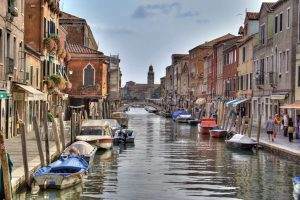 Known as the Little Venice, Chioggia is an artificial island that occupies a unique geographical position, separated from the sea by a long sandy strip, the Lido di Sottomarina, appearing almost suspended between the different hues of azure blue of the sky and sea. Fascinating, with its picturesque colorful palaces facing the Canal Vena, and distinctive porticoes lending a unique character to the island, which is also home to ancient churches. 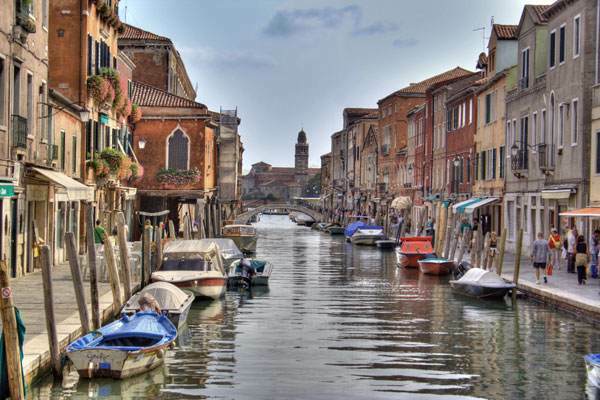 With horizontal streets intersecting the vertical lines of the canals and Piazza, the island's urban plan recreates a classic “herringbone”, a synthesis of the natural morphology and functionality of the island's traditional trade, fishing.